Since August 2018 Paul has led UTEC, one of the industry’s leading off- and onshore survey companies, from its headquarters in Aberdeen, UK. He joined Acteon in 2011 and during this time has undertaken a variety of commercial and operational roles. He was instrumental in the merger of UTEC with NCS Survey in 2015 and was, most recently, responsible for the day-to-day management of UTEC’s operations worldwide. As a member of UTEC’s senior management team, Paul helped the company to navigate a challenging period in the industry’s fortunes and enabled it to emerge with a more consistent approach across all operating regions and a focus on quality. Since Cory joined UTEC in 2007 he has progressed in a number of key roles within the organisation. Initially he was responsible for managing projects offshore, prior to gaining international experience in leadership positions in Canada, Houston and Aberdeen. Cory has headed up UTEC’s operations in the Americas since July 2017, where is responsible for delivering a wide range of survey, positioning and data management services to our clients throughout the US, Canada, Mexico, the Caribbean, and South America. He has 20 years’ experience in the offshore industry, having worked with Schlumberger in the US and Fugro in Canada, prior to joining UTEC. Cory studied at Cabot College and was awarded a Diploma in Geomatics Engineering Technology in 1997. In December 2016, Jonathan joined UTEC’s global team in Aberdeen in the role of Global Commercial Manager having previously worked within UTEC’s parent company, Acteon. He became Business Unit Director in August 2017. Jonathan is responsible for UTEC’s activities in Europe and Africa as well as driving growth across the business unit. He has more than 11 years in the subsea sector, having previously worked in commercial management and project services roles within major subsea installation contractors, a drilling related contractor and a specialist subsea consultant. Jonathan has a BA (Hons) in Business Studies. 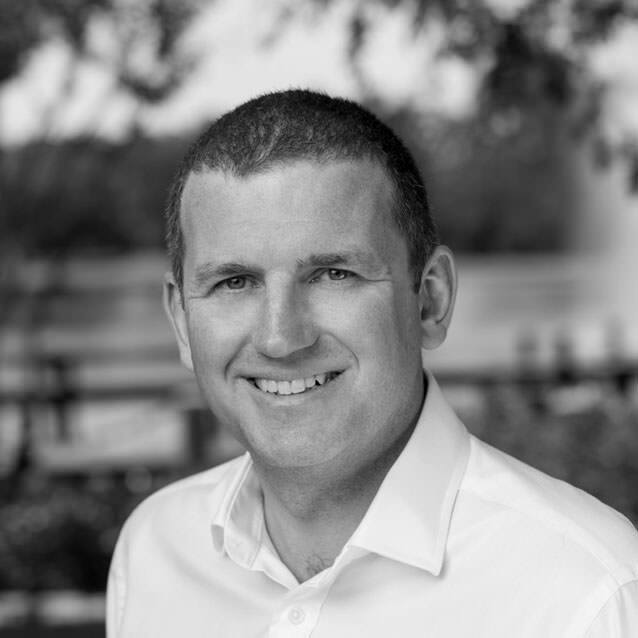 Bill joined UTEC in February 2017, initially with responsibility for business development activities across the Middle East, Asia and Australia, prior to taking on his current role in November 2017 which sees him splitting his time between the Abu Dhabi, Perth and Singapore offices. Bill has over 19 years’ experience in business development and commercial roles, the last 12 of which have been in the oil and gas industry. During this time, he worked extensively throughout North and South America, Europe, Africa, Middle East, Asia and Australasia where he developed a track record in developing strategy with a focus on partnerships and growth. He has a BSc (Hons) in Building Control Surveying from Glasgow Caledonian University. Jon joined UTEC Geomarine in August 2018 as Managing Director and is accountable for ensuring Geomarine flourishes across all industry sectors and continues to provide best in class innovative service delivery to its customers across the globe. He has over 25 years of experience in the oilfield services sector with Schlumberger Ltd. From University, Jon started out as a field engineer and went on to hold a wide variety of management and technical positions globally, including leading Schlumberger’s worldwide marine, seabed and borehole seismic geosolutions business, and more recently Business Unit Director for Schlumberger’s well completions and production business. During this time Jon has worked and lived in Africa, Norway, UK, Central Asia, Russia, France, and Indonesia. Greg took on the StarNet Business Unit Director role in May 2018 having been with StarNet for over 13 years. During this time Greg and has been instrumental in StarNet’s development, most recently in the role of Business Development Manager. As Business Unit Director of UTEC StarNet he is accountable for implementing and directing strategy towards the profitable growth and operation of the business. Previous to this Greg supported the development of the laser scanning department for StarNet, as well as the integration of iSite, StarNet’s visual asset management solution. With previous experience within the energy and telecoms industries in project management, design and managerial roles. Kevin joined UTEC in September 2016 and is based at its corporate headquarters in Aberdeen. He is accountable for the contracts & commercial function which encompasses, marketing, market analysis and business planning, business development, tendering, legal & contracts and supply chain & procurement. Kevin started his career in the oil and gas industry in 1988 as a mechanical engineer progressing into project management. Kevin has also led successful business management system design and implementation projects in addition to his day to day role in various organisations including UTEC. Kevin has spent over 25 years within the subsea sector in contracts, commercial and supply chain roles with companies including Balmoral Group, Subsea 7, Seaway Heavy Lifting, Ceona and Repsol Sinopec. Gail joined UTEC in 2017 and is tasked with driving quality throughout the company by ensuring QHSE management system processes are effective. Based at UTEC’s corporate headquarters in Aberdeen Gail also provides analysis of QHSE performance and risk management advice to the corporate leadership team. She has 17 years’ in the oil and gas industry from chemical management and health and safety in topside operations to subsea construction operations utilising saturation diving. Gail has a MSc in Risk and Safety Management and a is a certified Lead Investigator and Lead Auditor. Additionally, she has a NEBOSH General Certificate and a Lean Six Sigma -Yellow Belt. Martin joined Acteon group company, InterMoor, in the role of Finance Manager in 2012 and joined UTEC in 2016. Based at UTEC’s corporate headquarters, Martin is responsible for ensuring that the Finance function contributes towards the success of the company by ensuring the leadership team have access to the information required to make strategic decisions. In addition, Martin and his team ensure UTEC is compliant with all accounting and regulatory requirements. Martin has over 19 years’ experience in financial roles, a BA (Hons) in Accounting and Finance from Robert Gordon University in Aberdeen and is an Associate Member of the Chartered Institute of Management Accountants. Tyler joined UTEC in November 2015 and is based at its corporate headquarters in Aberdeen. Responsible for the global people agenda of UTEC he provides support and guidance to employees, developing and growing our PEOPLE to be the best in industry whilst focusing on our core values of PEOPLE, PERFORMANCE, ETHICS and EXCELLENCE at all times. Tyler is a senior HR professional focused on both business strategy and operations with over 15 years’ UK and international experience within a variety of business sectors including oil and gas, engineering, FMCG manufacturing, aviation and the public sector. He is a qualified member of the Chartered Institute of Personnel Development. Working with UTEC parent company, Acteon, since 2013 Nadir joined UTEC in July 2016. Although based in Abu Dhabi Nadir frequently visits UTEC’s offices across the globe. Nadir is UTEC Group Strategy Director with responsibility for expansion into new global areas and service lines. He is also Commercial and Strategy Director for the Middle East where he works with our Saudi partner playing a key part in the future growth of UTEC. He is internationally experienced with over 10 years’ involvement in driving turnaround, change management, strategy and operations within large businesses. Nadir has a BSc in Mathematics and Economics.